MV Agusta entered the premium motorcycle space in India last year with high performance machines meant for the niche audience. Till now, all bikes are being imported directly from Italy as CBU units. Now, sources close to the company have revealed the manufacturer has changed its strategy and will opt to soon commence assembly of some of its bikes in India. 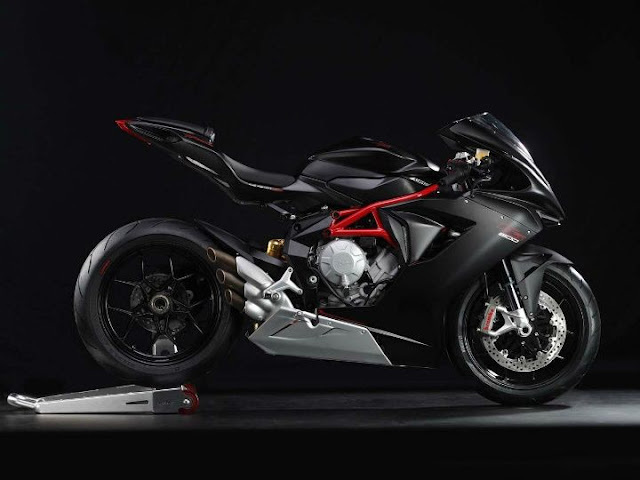 The first bike which has been scheduled to follow the CKD route is the MV Agusta F3 800. This policy will mainly make the bike more affordable to the Indian buyers and more competitive in the market. The production of the F3 800 is likely to be commence at the Kinetic facility in MIDC, Pune or at its spares part factory in Ahmednagar. The F3 800 is a middle weight super sport offering from the Italian manufacturer and will be the first fully faired MV Agusta offering to the assembled in India. The MV Agusta F3 800 borrows styling ques from its elder brother, the F4 is arguably one of the most beautiful looking bikes in the world. Under the gorgeous body, the F3 800 is loaded with numerous electronic systems to provide the rider with multiple configurations. The bike is equipped with the Motor & Vehicle Integrated Control System (MVICS) which consist of a ride by wire throttle system, three pre-loaded maps, eight level of traction control and three different settings for ABS. Powering the MV Agusta F3 800 is a three-cylinder inline 798cc engine which is belts out max power of 150PS at 13,000rpm and peak torque of 88Nm at 10,600rpm. Mated to a 6-speed transmission the F3 800 also features a slipper clutch which makes downshifts smoother. Braking duties will be handled by 320mm dual discs at the front and a single 220mm disc at the rear. The Italian bikes can be currently booked online on their official website. The current product line-up of MV Agusta consists of the Brutale 1090 and the F4. MV Agusta currently offers the F3 800 at Rs 16.56 lakh (ex-showroom, Pune) as an introductory price which is expected to reduce after the bike is assembled locally. The F3 800 competes against the Ducati Panigale 899 and Triumph Daytona 675 in the Indian market.